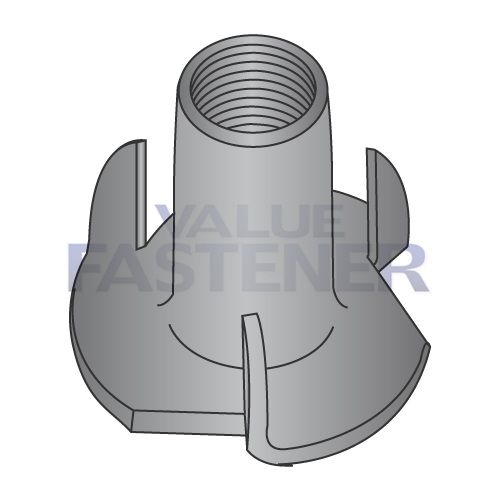 Tee Nuts are often used in furniture to provide an internally threaded surface for fasteners. Tee Nuts are inserted into materials like wood, composites, and particle board. Tee Nuts feature a head style that digs into the surface to ensure retention and leave the nut flush with the surface.